Quicktrade with vendors and settlers. Fixed issue with Stimpak option being replaced with Inventory for downed companions. 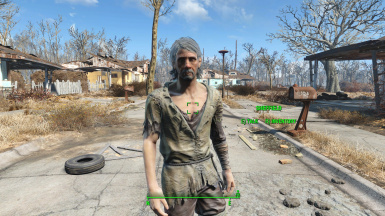 Fixed issue with being able to access inventory of settlers in non-allied settlements. Fixed issue with being able to access settler inventory/trade from extremely long distances when aiming down sights. Fixed issue with being able to trade with dead merchants. This mod adds a trade menu option to vendors that opens the buy/sell menu, and an inventory option for your settlers. 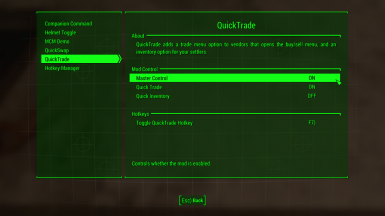 QuickTrade comes with a MCM menu and can optionally also be toggled on/off anytime via hotkey. 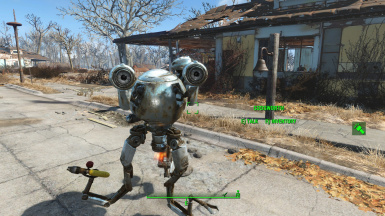 Bullet Time - Bullet Time for Fallout 4. 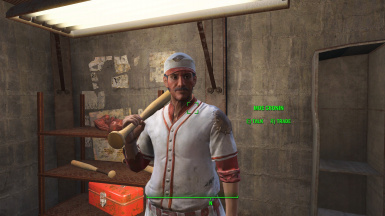 Companions Go Home - Send your companions to their original homes or to Home Plate. Outfit Switcher - Save entire loadouts and swap between them via hotkey. It's like favorites, but entire loadouts at a time. Visible Weapons - 3rd Person Holster - Holster your weapon on your back, hip, or holster. Take Cover - New gameplay mechanic - 3rd person cover system! Take cover behind objects and automatically lean out to shoot when you aim down sights. FO4 Hotkeys - Hotkey anything to any key, including equipment, items, and even console commands. Companion Command and Tactics - Shout to your companion from wherever you are. Position them, switch up their equipment and be a lot more tactical in your fights. Journal of the Sole Survivor - Your very own personal journal that you can type in. See all of my mods here.